In 1986, Nick Wallace, a local Busselton builder decided to hang up his hammer and nail-bag and open a hardware store. That store, Prince Street Hardware supplied building materials and general hardware items to help build almost every home in Busselton during the 90’s. 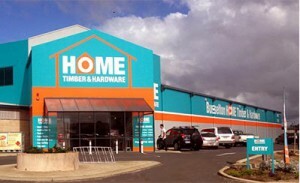 During this time, the store became part of the Mitre 10 group and won numerous “Store of the Year” awards. In 1997 the store joined the Hearth House franchise network and a section of the store was dedicated to Heating and Barbecues. In the mid-2000’s as Prince Street was re-developed into a retail shopping precinct, Nick & wife Sue decided that their small store was getting too cramped and the decision was made to relocate to a new massive warehouse location on West Street. The new store was a tremendous success and Nick & Sue are particularly proud of their garden centre. In 2014 Nick & Sue made the choice to join the Home Hardware group in order to better meet the challenges of the very competitive hardware and home renovation markets. Second-generation Brian Wallace and long-time employee, Colin Waterhouse are the heating and cooling experts at the Hearth House ‘store with-in-a-store’ inside the Home Hardware complex. You can be confident that with their many years of experience, Brian & Colin will give you the right advice for your home heating and cooling needs.